So amazing. I cannot get enough chevron in my life...! I love that duvet. It's so modern, but classic at the same time. Maybe I need an update!? 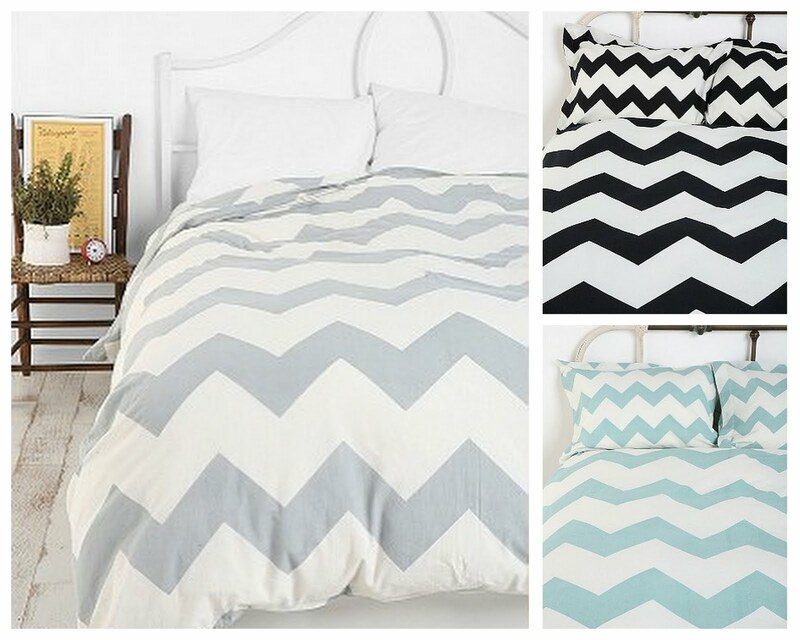 I really like this comforter--3 color versions and a cheap price? I'm sold! LOVE LOVE LOVE! You know we love us some chevron. Hope your week is going well! I love the grey one.